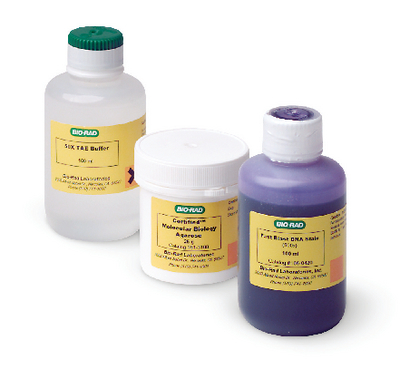 Convenient premixed buffers in this pack ensure reproducible results. 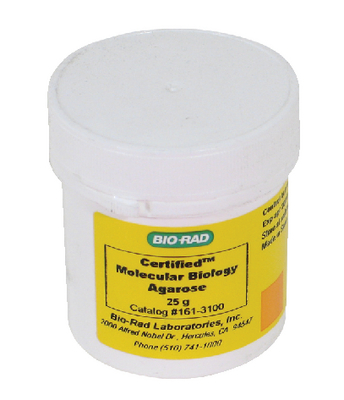 Cast superior agarose gels with high-quality agarose, convenient premixed buffer, and ultrasensitive nontoxic Fast Blast™ DNA stain. Contents are guaranteed to produce great results every time. Includes 25 g agarose powder, 100 ml 500x Fast Blast™ DNA stain, and 100 ml 50x TAE electrophoresis buffer. Makes 48 1% or 16 3% 7 x 10 cm agarose gels.